GM Lemos’ Deep Dive Collection – Vol. 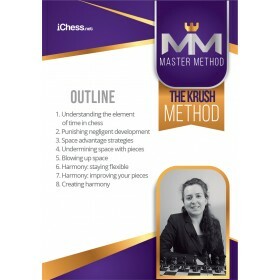 01 – 11: Chess openings knowledge is crucial in competitive chess. Between equal players, it often makes the difference between winning and drawing. However, up till now, most opening instruction has been very general – good enough so you know what you’re doing but without the detail required to give you the competitive edge in tournaments. GM Damian Lemos has addressed that with his acclaimed Deep Dive series. Chess openings knowledge is crucial in competitive chess. Between equal players, it often makes the difference between winning and drawing. However, up till now, most opening instruction has been very general – good enough so you know what you’re doing but without the detail required to give you the competitive edge in tournaments. 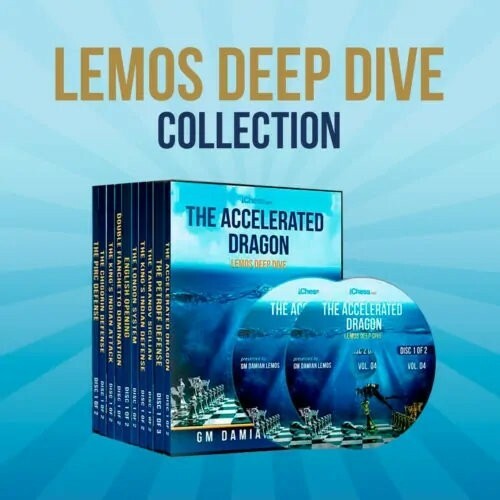 GM Damian Lemos has addressed that with his acclaimed Deep Dive series. As the name suggests, Damian gives you the deep knowledge you need to outplay your opponents in specific openings. 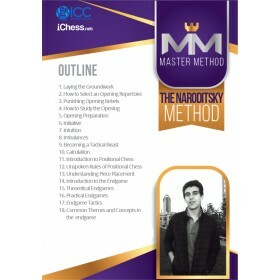 Despite the advanced nature of the courses, no prior knowledge is required as Damian begins each course with a comprehensive overview of each one of the chess openings that he covers, explaining the ideas behind the opening and the plans for each side. 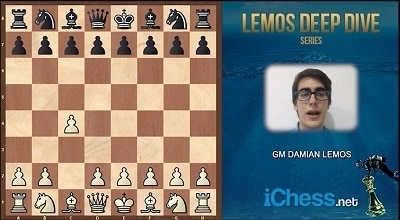 Damian Lemos is a grandmaster from Argentina who has reached a rating of 2559 Elo. If you want an opening system to call your own, one which you can force your opponents into and then outplay them with your expertise, master the London System with GM Lemos’ Deep Dive course! 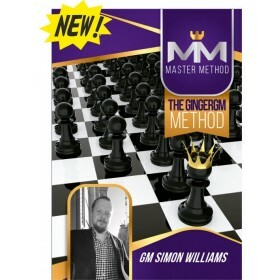 GM Lemos will provide you with the basic knowledge on each one of the chess openings that he covers in this series, once you have that level of understanding, Damian goes into each variation, explaining how to counter every idea and revealing all the options you have available to you. 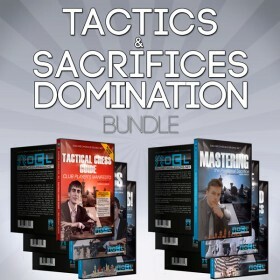 And this doesn’t involve never-ending variations either; each idea is demonstrated with examples from Super GM play so you learn how the very best players overcome the toughest obstacles. Follow in the footsteps of Fischer and Kasparov and become an attacking legend, racking up points as Black, no matter which variation White plays! The perfect choice for players who don’t have much time to spend on openings. Play it against nearly anything Black comes up with and decide whether you want to subject them to a positional queenside squeeze or a terrifying kingside attack. Get positions you love with Damian’s system based on rapid development and seizing the initiative the moment White makes a natural-looking mistake! This system is quickly becoming a favorite of players like Vladimir Kramnik. Incredibly flexible, full of attacking potential and very easy for your opponent to slip up against. Sidestep all the Najdorf theory – and your rivals’ preparation – with lines that blunt White’s attack and give you great counterplay early in the game. 2…Nc6! 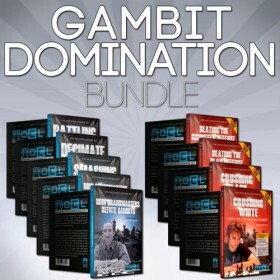 takes your opponent out of their comfort zone and onto your battlefield. 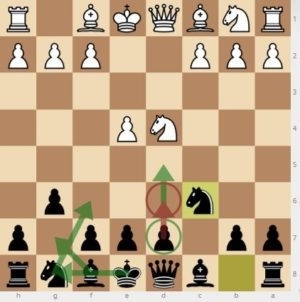 The Chigorin has easy to learn plans, is positionally sound and full of dynamic attacking chances, like this “ordinary” position which can lead to White’s resignation in just 4 more moves!! The Petroff Defense, also known as the Russian Defense, was a favorite opening of both Karpov and Kramnik. The Petroff is as solid as a rock, easy to learn and offers a ton of ways to turn the tables on those 1.e4 players! The Petroff is starting to come back in a big way with Fabiano Caruana just one of the top GMs who relies on it when it matters. Playing the English Opening can be a vital alternative for all 1.e4- and 1.d4-players who are tired of repeatedly entering the highly theoretical terrain of all the main lines Black can choose from. 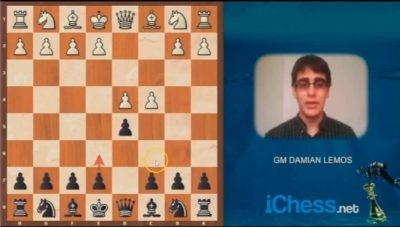 The English Opening allows the White player to immediately take the opponent out of his comfort zone by playing a move which is not as frequently played as 1.e4 or 1.d4. In contrast to White’s two main moves 1.e4 and 1.d4, White takes control over the center (especially the d5-square) by moving a flank pawn. The fight for the d5-square is paramount in the English Opening. The Scandinavian Defense is a tough nut to crack. Thanks to the efforts of GM Sergey Tiviakov and other strong GMs, the Scandinavian in general, and the 3…Qd6-line in particular, have attracted more and more attention recently and have found their way back to the tournament halls. Have you ever had an opening you can really call your own? One that makes you feel super- confident and at ease, effortlessly getting winning positions while your opponent sweats under the pressure, eating up time on their clock? Make this a reality by getting the inside track on one or more of Damian Lemos’ Deep Dive series: GM repertoires based on easy-to-learn strategies. By the time you have completed each course, you will be playing at a level far superior to your rivals.